If you love history and exploring unknown places, take a trip to the Romerquelle in Bad Ems this weekend. A unique attraction, this is located in the district of historical spa which is open to the public for viewing from morning to evening. Romerquelle is a sodium bicarbonate-chloride thermal which was built for the Romans in the historical era. An ideal destination to visit with family and friends, it is recommended that you visit with a tour guide to learn about the history of this place. So, if you are in Bad Ems, this is a must-visit if you want to taste the good waters! Ein Blick ist auch unbedingt in die Lahn direkt am Brunnen wert: Dort steigt grossflächig Kohlensäure aus dem Boden und es blubbert überall. Wenn man dort ist, kann man sich diese Quelle auf jeden Fall ansehen. Sehr schön hergerichtet und sauber. Geschmacklich ist es etwas ganz anderes. Frei zugänglich Quelle, man sollte jedoch seinen eigenen Becher dabei haben. 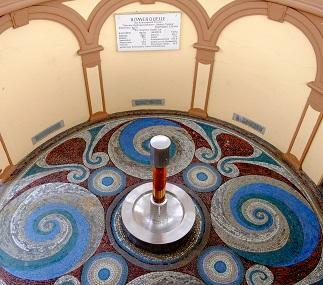 Wenn man in Bad Ems ist sollte ma die Römerquelle auf jedenfall besuchen, und das gute Wasser probieren. quellwarmes Wasser mit hohem Mineralgehalt. Ein geschmackliches Erlebnis. Am besten eigenen Becher mitbringen.